PONTIAC – A representative from the Illinois State Treasurer’s office will be at the Livingston County Health Department for a special flu clinic on Wednesday, October 17th, from 7:00am – 1:00pm to help individuals identify any unclaimed property. Come get your flu shot and see if you have any unclaimed property in State of Illinois! The CDC recommends everyone 6 months of age and older get the flu vaccine. People at highest risk of serious flu-related complications include: young children; pregnant women; people with chronic health conditions like asthma, diabetes, or heart, lung and kidney disease; people with weakened immune systems; and people 65 years and older. People at high risk for serious flu-related complications should make getting vaccinated a priority. Vaccination is also important for anyone who has close contact with a person at high risk for complications, or a child younger than 6 months of age. 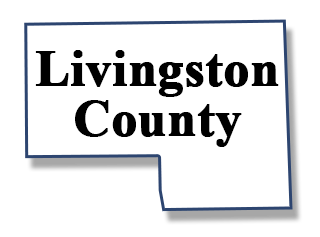 For more information about the seasonal flu vaccine or clinics being conducted by the Livingston County Public Health Department, call 815-844-7174 or go to the website or Facebook page.